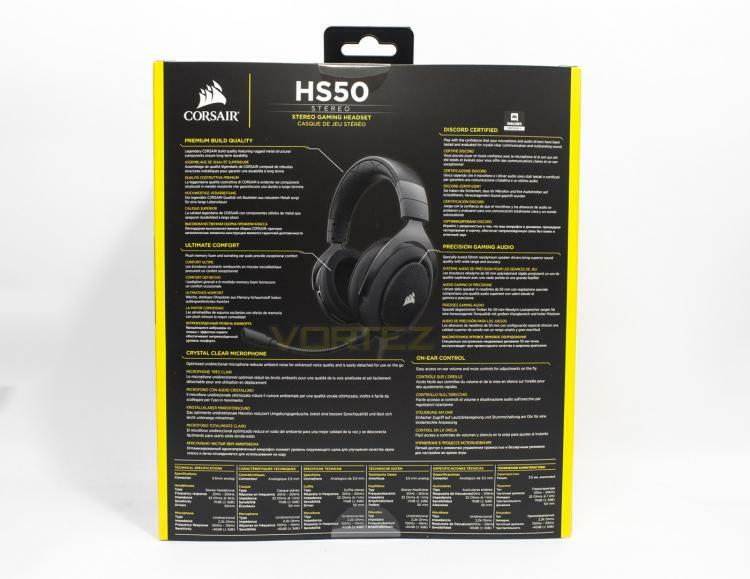 Corsair have packaged the 'Carbon' edition of the HS50 in their easily identifiable yellow on black packaging, however as the HS50 is also available in blue and green, the respective colours would otherwise be indicated by the box colour. 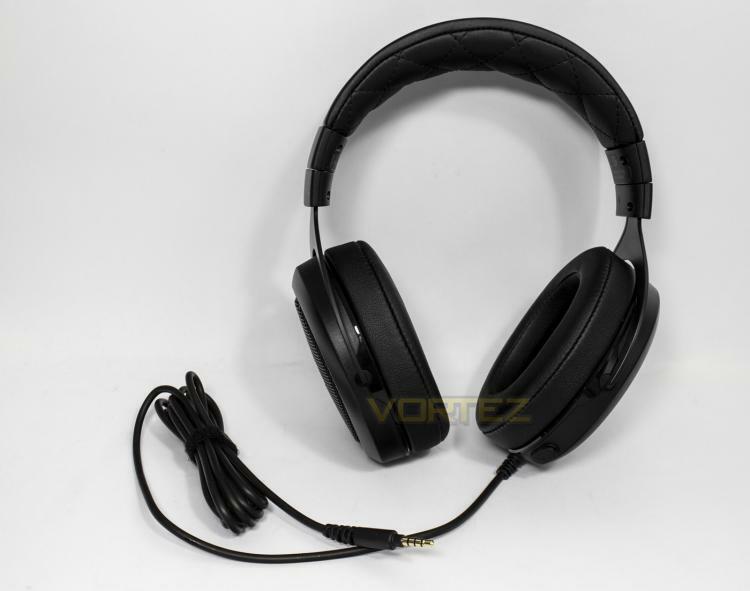 You will find the compatibility information and key features listed around the central image of the product that is clear and unobscured. At the back there is a detailed diagram of the product, clearly labelling the features in various languages. 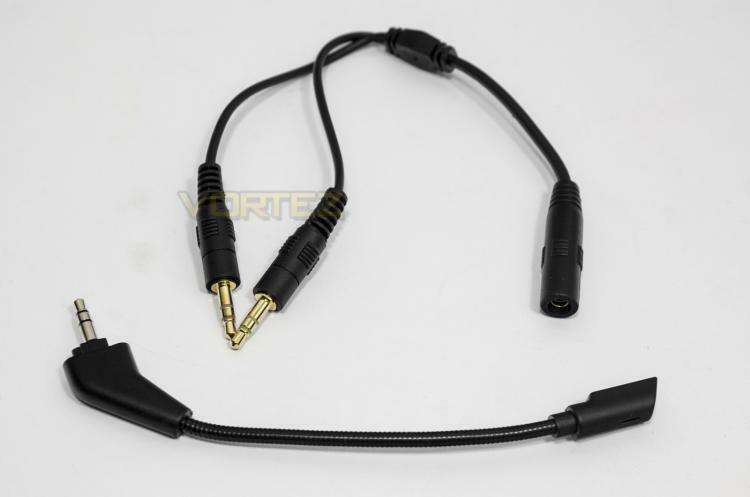 Inside the packaging there is a Y-splitter to separate audio and microphone channels. 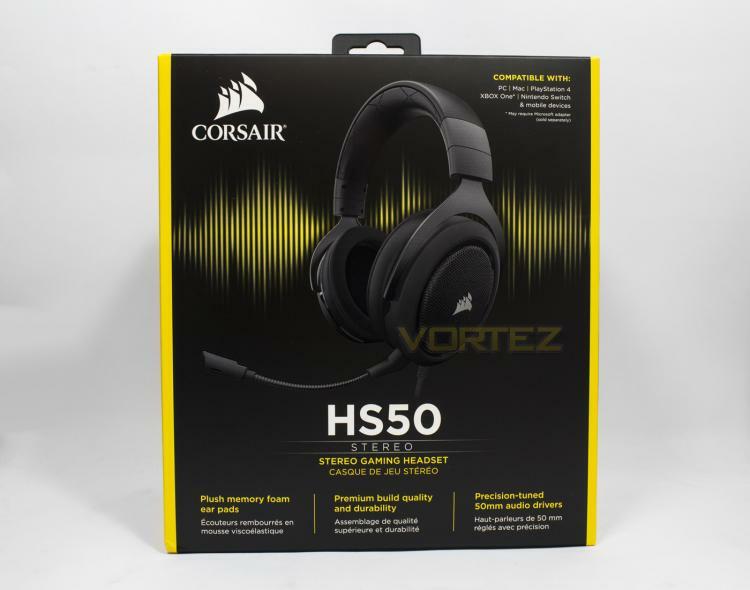 The HS50 itself is relatively slim and elegant in its design, featuring metal yokes (the parts that hold the earcups in place) and ample cushioning on the earpads and headband.